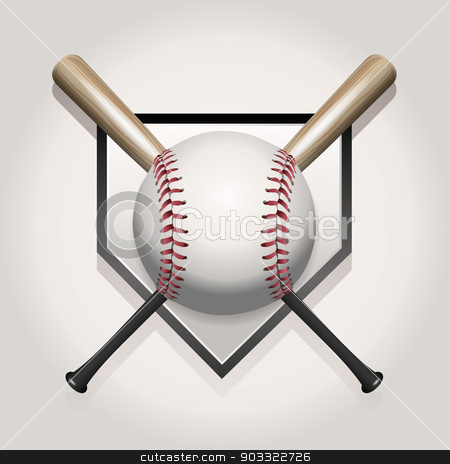 A baseball illustration made for a ball and two crossed bats over home plate. Vector EPS 10 available. EPS contains transparencies and gradient mesh.